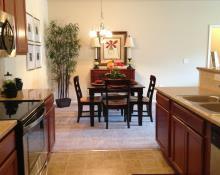 Make The Cliffs at Waterford your new home! 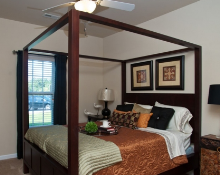 The Cliffs at Waterford Apartments offers a stylish, spacious and invigorating place to call home. Conveniently located in Spring Lake, NC outside of Fayetteville. 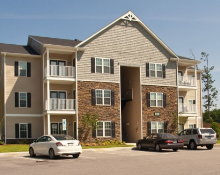 We offer two and three bedroom generous living space apartment homes that are within minutes of Fort Bragg and Pope Air Force Base! The Cliffs at Waterford perfect setting for relaxing by the serene pool. Our apartment homes feature sleek luxurious upgrades such as granite counter tops and stainless steel appliances, washer/dryer hookups, extra storage, ceiling fans, microwave, dishwasher and much more. Make your next address The Cliffs at Waterford! $200(1 pet)$300(2 pets) Pet Fee and $25/$30 Pet Rent!! The Cliffs at Waterford welcomes your furry friends both large and small. We encourage you to let them enjoy our off-leash pet park! We do require up to date vaccination records and require registration of your dogs using the pet DNA kit provided at move-in.